More than a week after the nearly Category 5 storm hit Mexico Beach, the region was slowly recovering. But it was equally clear that it will take time before many communities return to some semblance of their pre-storm existence. Take schools, for example. Students in Bay and Calhoun counties won’t return to their classrooms until November, while Jackson County students return on Oct. 29. Gulf County students will be back in school starting Tuesday, but elementary and high school students will have to share facilities because of the storm damage. As of Friday morning, more than 105,000 Panhandle homes and businesses remained without electricity. Under those conditions, many residents are likely not focused on the Nov. 6 elections. Nonetheless, the elections are quickly approaching, with mail-in ballots pouring in and early voting beginning in many parts of the state Monday. The elections carry huge consequences for Florida, with a U.S. Senate seat, a governor’s seat and three Cabinet offices on the ballot, in addition to a host of congressional, legislative and local offices. In the wake of the hurricane, Gov. 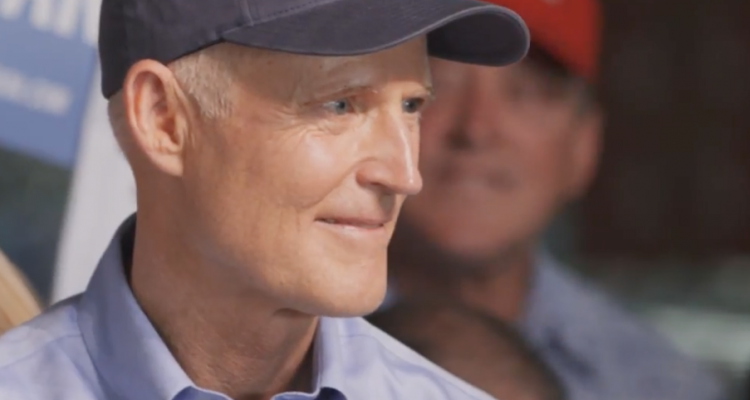 Rick Scott, who is challenging Democratic U.S. Sen. Bill Nelson, said he will remain focused on the storm-recovery efforts, although his campaign continues with its statewide television advertising. Tallahassee Mayor Andrew Gillum, the Democratic nominee for Governor, had to suspend his campaign as he dealt with the storm’s impact on his city, which sustained major power outages. But Gillum has resumed campaigning, and he and Republican nominee Ron DeSantis will have their first debate Sunday night on CNN. Florida eased restrictions Thursday on vote-by-mail ballots in eight counties ravaged Oct. 10 by Hurricane Michael, while also giving elections supervisors more time to conduct early voting. Secretary of State Ken Detzner, the state’s top election official, said the changes included in an executive order by Scott were requested by local supervisors and are intended to help displaced voters in Bay, Calhoun, Franklin, Gadsden, Gulf, Jackson, Liberty and Washington counties. As part of Scott’s executive order, voters in the eight counties will be able to request — through telephone calls or in writing — that vote-by-mail ballots be mailed to addresses that don’t match the voters’ addresses in the Florida Voter Registration System. Scott’s order also allows the counties to continue early voting through the Nov. 6 elections, a move intended to help voters whose precinct locations may have been damaged by the storm. Roads are out. Some schools are rubble. Housing needs are growing. The next leaders of the Florida Legislature say they’re ready to assist Scott or state agencies in the recovery from devastating Hurricane Michael. They just need to be asked. “If the governor identifies an unmet need that requires swift legislative action, we will certainly work with him to address it,” incoming Senate President Bill Galvano, a Bradenton Republican, said. 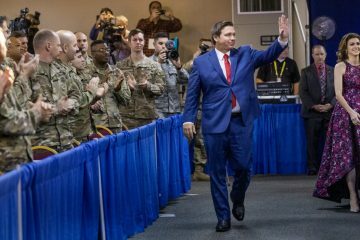 But Galvano and incoming House Speaker Jose Oliva, a Miami Lakes Republican, are not expecting such action until more is known about the impacts of the storm, which came ashore with 155 mph sustained winds. 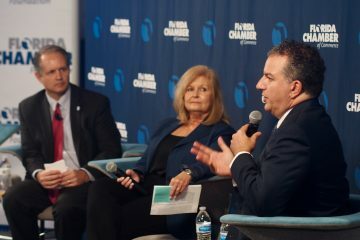 “In the here and now, if the governor or any agency needs resources or assistance for issues created by Hurricane Michael, the Florida House stands ready to help,” Oliva said. State lawmakers are set to return to Tallahassee shortly after the Nov. 6 election for an organizational session that includes seating new members and formally making Oliva and Galvano the leaders of their respective chambers. The 2019 Legislative Session will start in March. But lawmakers can take actions in the interim by holding special sessions or convening the Joint Legislative Budget Commission, which is made up of House and Senate members and can shift money to address needs. Galvano noted that lawmakers from the hurricane-impacted areas have been working with Scott, Cabinet members and state agencies, while Senate staff members in Tallahassee have been coordinating with district offices to ensure the continuation of constituent services. Also, Galvano said state budget reserves are available for Scott to direct toward the storm response. “The governor has broad executive authority to utilize those reserves to allocate state resources needed to further a comprehensive response in the immediate aftermath of the storm,” Galvano said. The next governor, and not Scott, has the authority to appoint three new justices to state Supreme Court in January, the court ruled this week. Scott, who leaves office in January because of term limits, had repeatedly asserted the right to appoint the replacements for justices Barbara Pariente, R. Fred Lewis and Peggy Quince, who are leaving the court in early January because they have reached a mandatory retirement age. But in a brief, unsigned order, the Florida Supreme Court said Scott “exceeded his authority” in directing the Supreme Court Judicial Nominating Commission to meet and forward a list of potential justices to him by Nov. 10. More than four dozen judges and lawyers had submitted applications to the nominating commission, which scheduled interviews with the applicants in early November. 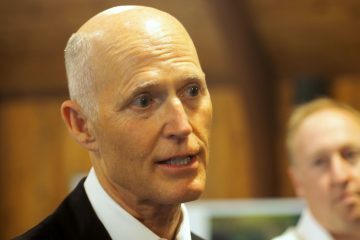 But the court ruling Monday blocked Scott’s action through a legal procedure, known as a writ of quo warranto, which had been sought by the League of Women Voters of Florida and Common Cause Florida. The groups argued that the appointment power belonged to the new governor who takes office on Jan. 8. In granting the writ, the Supreme Court said the winner of the Nov. 6 election between DeSantis and Gillum “has the sole authority” to fill the court. In arguing against the writ, Scott’s lawyers had said he was following the precedent of beginning the appointment process before the vacancies actually occur, noting numerous justices have been appointed using this procedure to avoid prolonged vacancies on the court. Although the court ruled that Scott exceeded his authority in seeking a list of potential justices by a Nov. 10 deadline, the justices agreed to hear oral arguments on the issue of when the Supreme Court Judicial Nominating Commission can certify a list of candidates to the governor. The court hearing is set for Nov. 8. 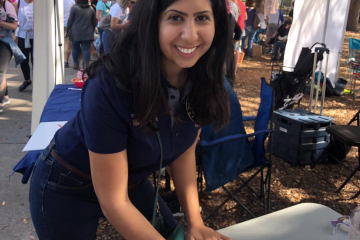 Pariente, Lewis and Quince are part of a generally liberal bloc, which now holds a slim 4-3 majority, that has thwarted Scott and the Republican-dominated Legislature on numerous occasions since the governor took office in 2011. The Florida Supreme Court ruled that the next governor, not Gov. Rick Scott, will fill the vacancies on the state’s highest court when three justices retire in January. “Voters beware! When amending our Florida Constitution, voters should not be forced to vote ‘yes’ on a proposal they disfavor in order to also vote ‘yes’ on a proposal they support because of how the Constitution Revision Commission (CRC) has unilaterally decided to bundle multiple, independent and unrelated proposals.” — Justice Barbara Pariente, as the Supreme Court upheld the placement of three proposed constitutional amendments on the Nov. 6 ballot, although they each contain multiple topics.